Magic moment: Rehak Stefecekova and Varga wins again! 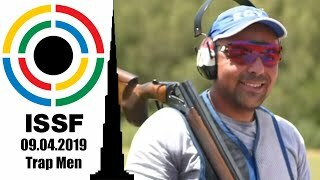 Slovakia’s Zuzana Rehak Stefecekova and Erik Varga, who respectively won gold and silver in the two individual Trap events, climbed atop the podium for the third time in the season, prevailing over the Russian Federation’s Alexey Alipov and Ekaterina Rabaya, and Great Britain’s Kirsty Barr and Aaron Heading. 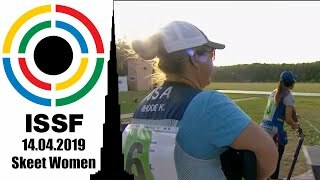 She won the final at the shoot-off. The Slovakian athlete beat China’s Wang Xiaojing and Italy’s Silvana Stanco. 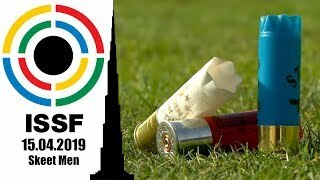 The top-4 finalists gained a quota spot for Tokyo 2020. 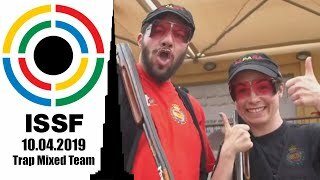 The two shooters climbed atop the podium at the end of a tight battle that, in the end, saw them prevail over the reigning World Champion team of Australia, represented by Penny Smith and Jack Wallace. Kuwait’s Sarah Alhawal and Khaled Almudhaf completed the podium in 3rd place. The 2008 and 2012 Olympic Silver medallist Stefecekova of Slovakia competed in her first world cup stage of the season, and won with ease in spite of the critical light conditions, leaving two Olympic champions behind her. The Slovakian Olympian beat China's Wang Yi Wenn to secure the first Gold of Granada. 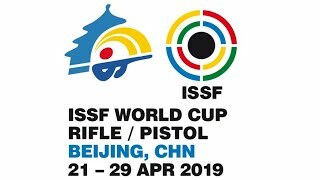 A great result, and a good chance to try the range that will be used at next year's ISSF World Championship.